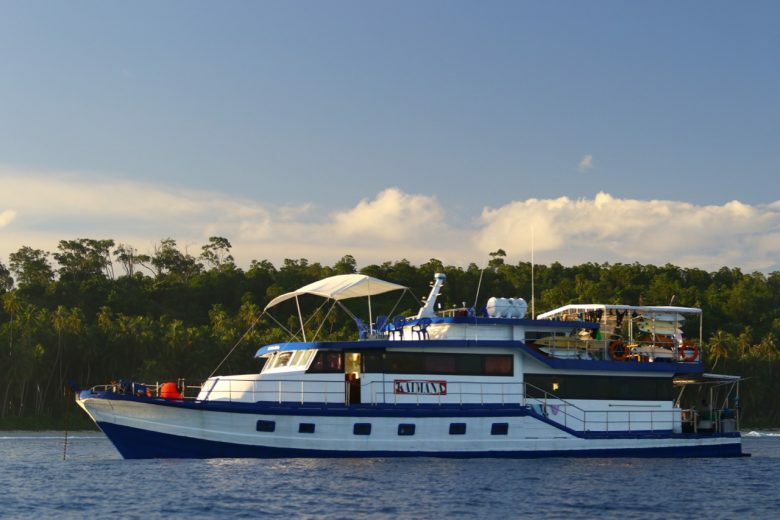 MELALEUCA is one of our favourite charter boats. 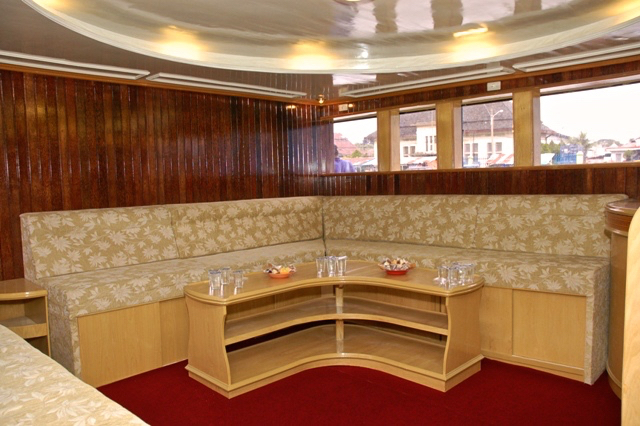 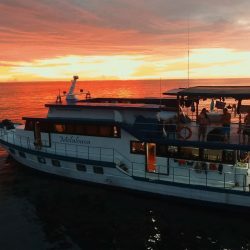 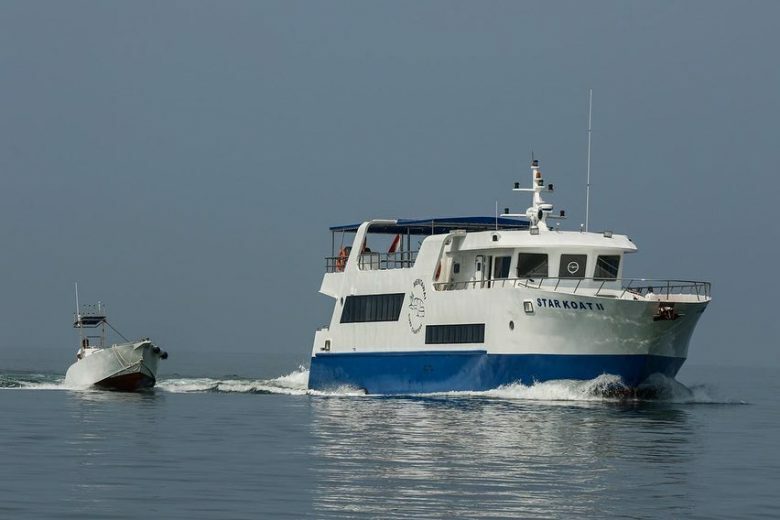 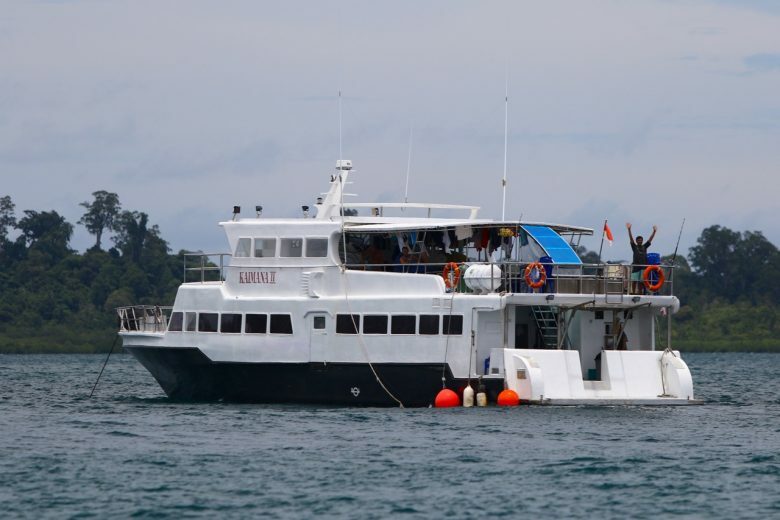 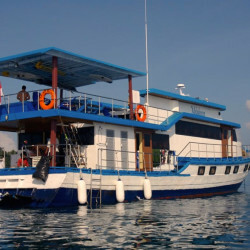 Very spacious inside and outside, comfortable and quite stable at sea, she’s a reputable charter boat in Sumatra. 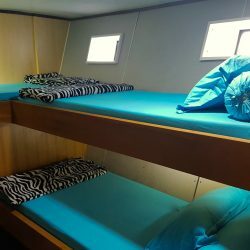 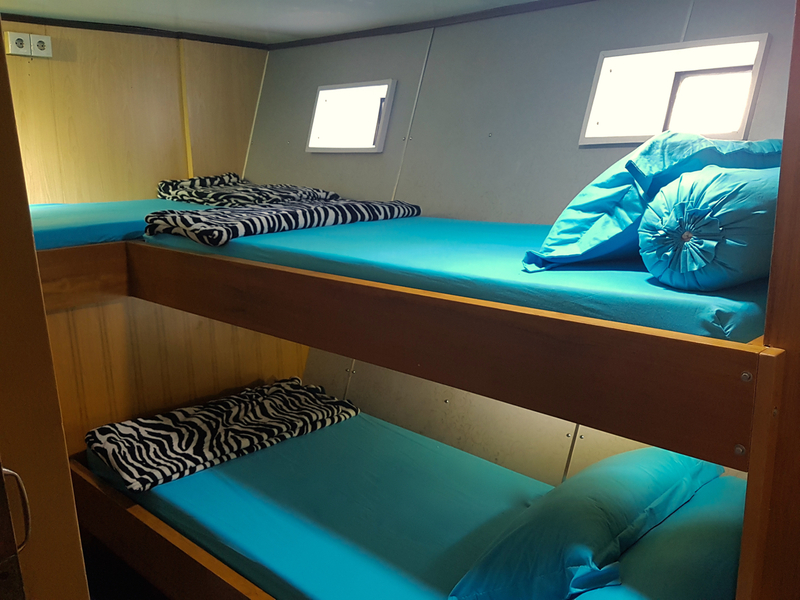 She is big (80 ft./24m long), fully air conditioned, with 6 cabins (up to 12 guests), a large salon with TV/DVD, eating area, 2 WC’s and a large top deck perfect for relax, watch the surf, practice yoga, take a nap in the hammock, etc. 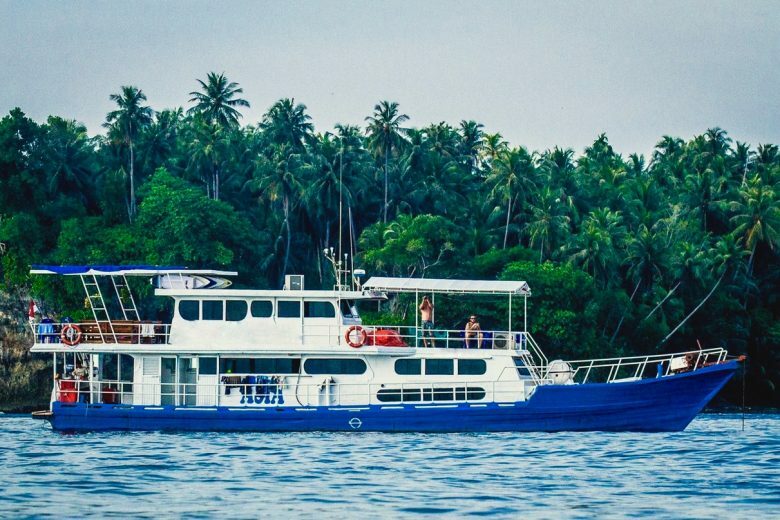 The “MELA” is powered by 2 Mitsubishi engines (320 hp each) making her a reliable and safe boat with a cruising speed of 8-10 knots. She’s equipped with Radar, GPS with plotter, depth sounder, VHF and SSB radios, portable VHF, satellite phone, all the safety gear (life-raft, life-jackets, EPIRB, very-lights, etc.) 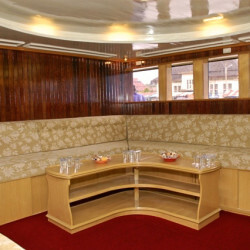 and an extensive first-aid kit. 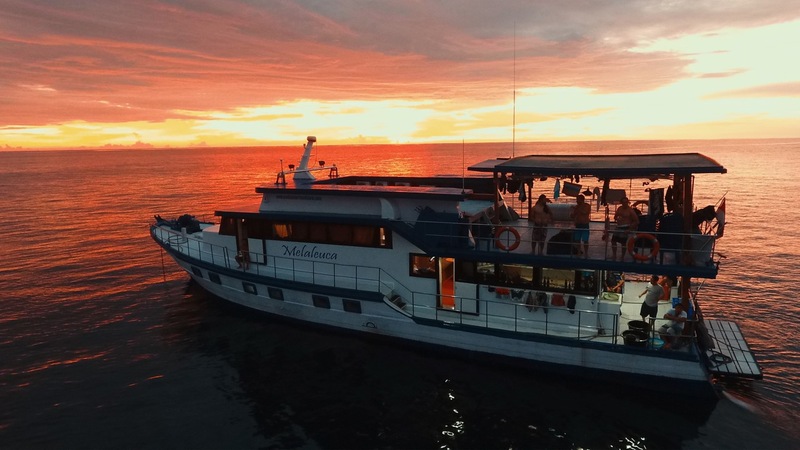 Guests can make use of SUP board, kayak, fishing rods, snorkelling gear, and 2 dinghies with out-board engines for surfing assistance and photography, fishing, access to beaches, etc. 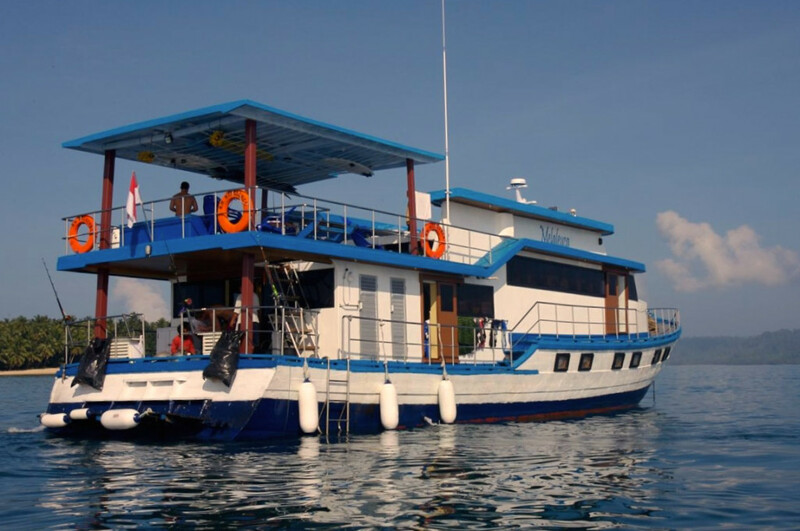 Melaleuca is the best value for a charter boat in Sumatra.